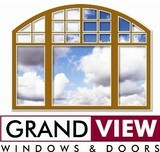 Grand View Windows & Doors LLC, Specialize in windows and doors for new construction and remodels. We have commercial and historic expertise. We pride ourselves on personal service with a friendly atmosphere come visit our window boutique showroom. We offer JELD-WEN, Sunrise, Lincoln Wood Windows & Patio Doors, Lone Star Iron Doors, Clear View Motion Screens. Steel windows and doors, aluminum windows and doors, wood windows and doors, vinyl windows and doors, fiberglass windows and doors, replacement windows and doors, new construction windows and doors, remodeling windows and doors. Skylights. Patio doors. Sooner State Home Improvements was born over 25 years ago in 1987. Ever since, we've had a simple mission; improve the lives of our customers throughout Oklahoma with the installation of windows, siding, roofing, and outdoor living products. When it comes to exterior home improvement in Oklahoma, there is no other company that will give you the peace of mind that Sooner State will. Fill out the form on the right side of this page or call us at (405) 692-3444 or (888) 692-3444 and let's schedule an appointment for us to come out to your home for a free home evaluation and estimate! Window World of Oklahoma City is a window replacement company offering double hung, slider, garden, bay, casement, awning & vinyl replacement windows. 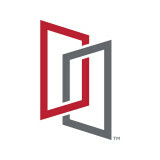 Central Glass and Mirror has served Oklahoma since 1973. We specialize in custom glass and custom mirror work. Whether it’s a commercial storefront, a bathroom remodel, custom frameless glass shower door enclosure, insulated window repair or a custom mirror design, Central Glass & Mirror has one of the most efficient, creative and dedicated teams of designers, fabricators and repair experts in the country. Since 1984, Consolidated Builders has been providing quality windows, skylights and doors to the people of Oklahoma. We are proud of what CBS Oklahoma has evolved into. With 80,000 square feet of Warehouse space and 7,000 square feet of Showroom space, Consolidated Builders is here to help you. Consolidated Builders Supply We have spent more than 30 years becoming the Oklahoma’s expert home and commercial window distributor. Our experienced, trained team of installers and representatives work closely with you from the moment you come to CBS Oklahoma. In our Showroom, you will meet your personal representative who will provide special attention to all your individual needs ─ ensuring you receive the best windows, skylights and doors for your home and budget. Trust us with your family’s home. Your home is something you should be proud of, and we are ready to help make that sentiment a reality as your expert OKC window distributor. Dedication to our Customers. We have told you who we are and what we do, but what really sets us apart from our competitors is our dedication to premium customer service. Consolidated Builders is a company built off of our passion and service. We have a passion for being OKC’s window and door distributor, but we also have passion for serving our customers to the best of our ability. That is why we strongly believe that customer service is key. 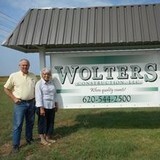 Consolidated Builders is committed to our service and our customers. You can be assured that you and your home are in good hands. *Authorized Pella Business Accelerator Member* At Pella Oklahoma City, we’re passionate about three things: windows, doors, and helping you select the best products for your window or door replacement. This passion has been displayed throughout our years of service in the Oklahoma City area and the plethora of accolades we’ve received for our products. Wood windows are especially important to us – after all, that’s what originally set us apart. Now, we’re also known for three other things: our superior work, our leadership in environmental efforts and our promise of offering high-quality windows and doors. Our professionals are ready to help you collect all the information you want about our unique Pella products and features. We’re confident our extensive collection of styles will fit your replacement window or door needs. Pella offers many innovative glass options in terms of their energy efficiency. Even if you don’t see what you’re looking for, Pella’s craftsmen can make virtually any window you have in mind. So explore our site, call, or stop on by our Oklahoma City Showroom – we’d love to show you how beautiful the view is through a Pella window or door. Since 1956, Lee Glass and Window has been the experts providing premium windows, doors, and glass as well as service and installation for residential and commercial consumers. It is your home. Your choice. Choose the best. Choose Lee Glass and Window! Since it's inception in 2005 Tietsort Design has pushed the envelope of glass design to provide our clients with truly unique solutions. Tietsort Design has a focus on Designing, Crafting, Manufacturing, and Installing Custom Made glass products to meet the increasing demand for modern glass. Tietsort Design designs and creates Custom Sliding Doors, All Glass Wall and Partitions, All Glass Shower, Decorative Glass Handrails, Custom Metal Work, Glass Counter Tops, and other unique modern design solutions. Please check out or capabilities. Hopefully we can expand your view of glass design. At Streets Windows and Siding having been in the windows and siding business in the Oklahoma City area for so long, there are some things that were very helpful to learn....and we DID! With the strong winds and quick weather changes we have in Oklahoma, you will be comforted in knowing that we install all of our siding products on your home with SCREWS, not nails. With the expansion and contraction of the product due to weather and wind, nails will tend to back out and siding will not stay on. This can not happen with screws. We don't believe that there is another local siding contractor who actually takes the time to use screws and install siding in this way...which is the ONLY way to go in Oklahoma! We supply and install quality replacement windows without you having to pay the big name prices. Our windows meet and surpass the competition and our lifetime warranty is the same as the big name brands. Replacement windows are not just about the window itself but the windows are only as good as the proper installation. With over 40 years of experience we guarantee that you will be happy with your windows for years to come. At Pella Oklahoma City, we’re passionate about three things: windows, doors, and helping you select the best products for your window or door replacement. This passion has been displayed throughout our years of service in the Oklahoma City area and the plethora of accolades we’ve received for our products. Wood windows are especially important to us – after all, that’s what originally set us apart. Now, we’re also known for three other things: our superior work, our leadership in environmental efforts and our promise of offering high-quality windows and doors. Our professionals are ready to help you collect all the information you want about our unique Pella products and features. We’re confident our extensive collection of styles will fit your replacement window or door needs. Pella offers many innovative glass options in terms of their energy efficiency. Even if you don’t see what you’re looking for, Pella’s craftsmen can make virtually any window you have in mind. So explore our site, call, or stop on by our Oklahoma City Showroom – we’d love to show you how beautiful the view is through a Pella window or door. Wood Window Rescue is wood window restoration business in located in Oklahoma City. Our mission is to save historic wood windows, restore them, repair them and make them fully usable. We renew the house that you love to call home. A team of professionals having over 30 years of combined remodeling experience, Home Renew is a locally owned and operated home improvement company specializing in, but not limited to, new window installations, siding, and exterior doors. Give us a call to get your exterior projects started today! Since 1997, AAdvantage Exteriors has been installing windows, doors and siding to home owners in and around OK City Oklahoma. Whether you are looking to replace your drafty windows to reduce your home energy bills, update your home with a new door or want to install new siding in order to lessen home maintenance, AAdvantage Exteriors is committed to finishing jobs on time, on budget and 100% right. Whether you’re building a new Oklahoma City home, remodeling an old one or just replacing a few windows that are past their prime, your window dealer in Oklahoma City, OK will help you pick the right windows for your needs, home style and budget. Windows come in so many sizes and types that expert advice and direction is invaluable in helping you make the best decision. These pros can also help you with custom window designs that complement your space better than something ready-made. Lastly, if you are interested in doors with windows, these experts are also knowledgeable about sliding doors, French doors and other paned portals. Your window pro might work closely with other Oklahoma builders and remodelers as well. Here are some related professionals and vendors to complement the work of window sales & installation: Window Treatments, General Contractors, Home Builders, Specialty Contractors, Siding & Exteriors. Find a window dealer on Houzz. Narrow your search in the Professionals section of the website to Oklahoma City, OK window dealers. You can also look through Oklahoma City, OK photos to find examples of windows that you like, then contact the window professional who worked on them.